To Gift Wrap or Not to Gift Wrap. 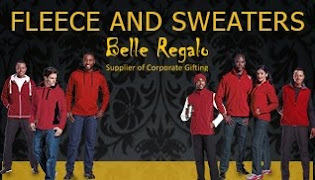 Corporate clothing is still an excellent corporate gift. 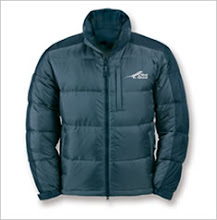 Corporate clothing is great way to create a positive impression of your company. Supplying your staff with corporate clothing ensures that they are neatly dressed and easily identifiable by customers. When choosing branding for your corporate clothing, promotional clothing can have big silkscreened logos, but generally corporate clothing for staff will have embroidered logos which look smarter. 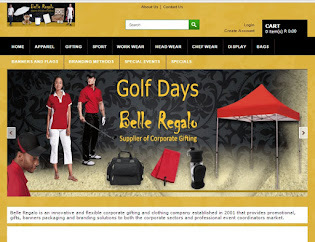 Generally customers buy corporate clothing for their staff once a year. This is because depending on the number of shirts that you give to your staff for corporate clothing the high frequency of wear and sometimes rough washing can make some of the garments wear faster than others. So rather that checking up on each staff member, getting new shirts each year will ensure that the average appearance of the corporate clothing of staff members remains good. 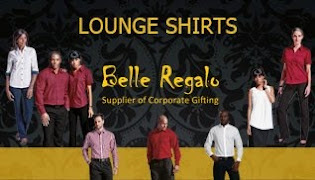 If the dress code of your staff is casual then a golf shirt is a good however if your dress code is smart then you would be wize to purchase lounge shirts and blouses. These days many corporate clothing options come in matching ladies and gents styles making your corporate clothing choices a lot more varied. Isosteel as a Corporate Gift Stands the Test of Time. with having a baby you may ask. But I have found that at this juncture of my life I have realized the lasting impact that choosing the correct stainless steel flasks can have. Over eleven years ago I bought an Isosteel vacuum pot because I liked the design. Once we moved I put a lot of things in storage and recently opened up the storage and found it. I had a baby on 23 May and when expressing at night we would put a stainless steel flask on the best side table to heat up the milk overnight for the baby. As a corporate gift supplier I have a large number of various stainless steel flasks lying around the house. I found that if I filled up one of the low costs stainless steel flasks early in the leaving, by midnight the water was completely cold. Not even luke warm but cold. This was quite frustrating as we would have to get up, boil the kettle and heat up milk in a bowl for the baby. Having a crying baby at midnight is not a bag of laughs. Once we found the vacuum pot, we tried that out and the Isosteel brand proved its worth one again. Our water remained hot so heating up the milk was merely turning over, opening the Isosteel vacuum pot and pouring into the bowl and in 5 minutes we would have warm milk for the baby. How amazing is it that eleven years later the Isosteel brand is still performing. As a corporate gift Isosteel is amazing and the fact that this corporate gift performs so well over the years it is a great brand to align your brand with. The Isosteel range of products make wonderful corporate gifts.